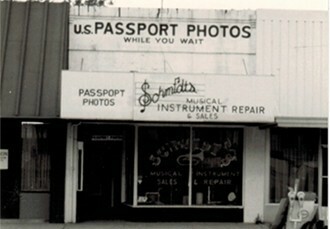 Schmidt’s Music is a Band and Orchestra specialty shop located in downtown Pensacola since 1982. 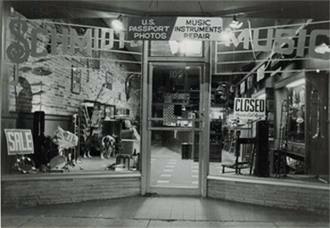 Serving the Florida panhandle and southern Alabama, we are the go-to destination for the finest brands of instruments, accessories, and top-quality repair service. We are proud to be the number-one choice of educators, students, and professionals alike. Stores like Schmidt’s Music are a rare breed. With the current trend of retail being big-box, full-line, one-stop shopping, true specialty stores are in short supply. We feel that specializing allows us to better serve our customers and community. A music store that doesn’t sell guitars might seem crazy to some, but to us it’s a reminder to be true to who we are. We know band and orchestra instruments. We know them well, and we stick to what we know. Every member of our staff has a life-long passion that began in a school music program. To us, band and orchestra instruments aren’t just a product we sell; they are a way of life. Quite simply, our mission is to improve the quality of life in our community. This may sound like a lofty goal for a music store, but we are not just a music store; we are a team of musicians dedicated to helping everyone achieve their musical goals. We fundamentally believe that participation in music enriches the lives of individuals, and in turn, the community as a whole. Originally from New Orleans, Dave grew up surrounded by music. His passion began in a school band program and continued into college, where he majored in Music. Realizing an interest in instrument repair, Dave furthered his education by attending the Allied Music Repair School. Upon graduating as a highly skilled repair technician, Dave had many job opportunities, one of which was in Pensacola. Dave and his wife Rebecca instantly fell in love with the area and never left. 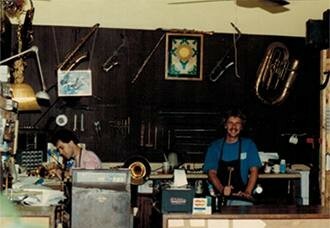 The business eventually started purchasing used instruments to refurbish, and began offering rentals in 1985. By 1989 Dave began to acquire quality instrument lines; this allowed him to create a customer-friendly Rent-to-Own program with full maintenance and replacement coverage. With Dave’s friendly personality and excellent service, the growth continued through the 1990s. As the business increased, so did the staff and the inventory. By 2004 it was clear that expansion was necessary, and the business purchased the rear parking lot and the building next door. This allowed for a much-needed enlargement of the repair shop and the addition of a beautiful orchestra showroom. Please visit our Service page to learn more about ultrasonic technology. Over the years, Schmidt’s Music has expanded to carry a full array of band and orchestral instruments, a wide range of accessories, and the largest sheet music selection in the area. 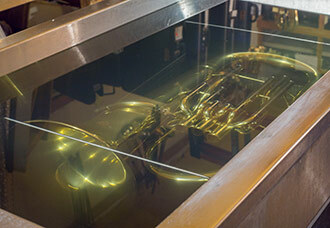 We now proudly represent the industry’s top manufacturers, such as Yamaha, Conn-Selmer, Jupiter, and Aberto Vitali. Please visit our Sales page to see our full list of brands.